I was standing in line at the grocery store the other day, trawling the Reverb app (available for Apple and Android phones) as the conveyor belt wound itself ahead. 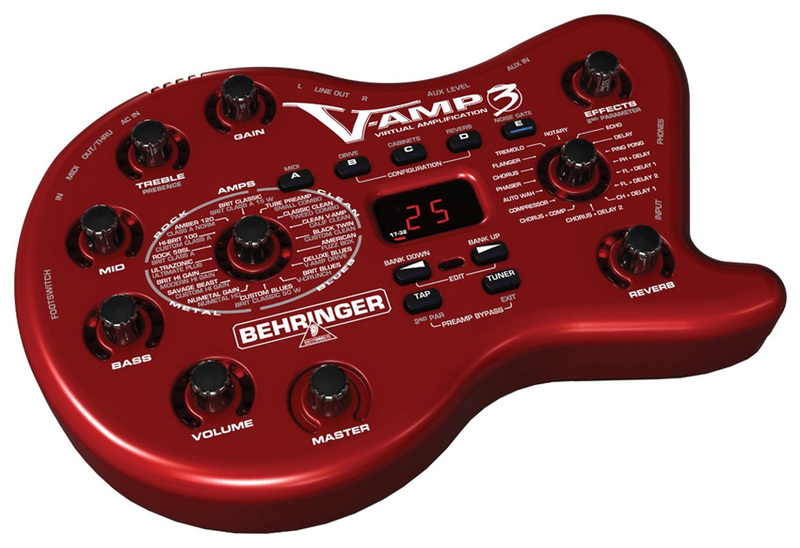 Suddenly, I found myself quickly clicking through a purchase of a Behringer V-Amp 2 that popped up in my Feed. The beauty of this situation was that the little blue effects blob cost less coin than the bag of groceries the clerk rang through. Was this just an impulse buy born out of nostalgia for the effects I grew up on? Not really. It was very strategic, highly economical, incredibly practical, and timely for my rig. In an age of advanced digital multi-effect units, endless options for articulate analog effects, and imaginative gear that blends these worlds, why opt for a multi-effects unit from the turn of the millennium? Here are four reasons to go old-school digital. I'm a proud parent of a pristine pedalboard. Whenever possible, I flash a picture of my pedalboard on my phone to like-minded friends. Even with a solid roster of classic and boutique effect pedals underfoot, however, I've been feeling the draw to go back into the digital domain. But before going all-in with something like the Line 6 Helix or Boss GT-1000, I wanted to be sure I was ready to return to the multi-effects realm. Sonically, these new systems are leaps and bounds beyond those digital units from the early 2000s. Yet, functionally and conceptually, they're in the same world. 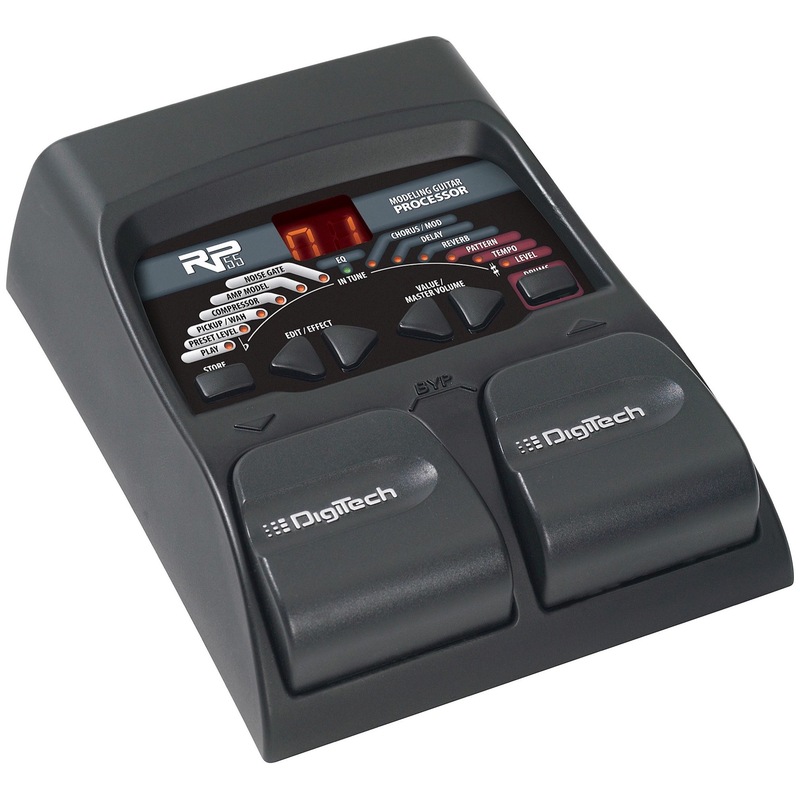 The fact of the matter is, whether it's the kidney bean Line 6 Pod, Behringer's V-Amp series, or more of the "pedalboard replacement"-type effects like the Digitech RP or GNX series, you're hard-pressed to find a better value guitar effects unit. Some would say "you get what you pay for," but for a two-digit price tag on many of these, I'd argue you're getting far more than you realize. This makes them an ideal pick for dabbling in the digital without doling out too much cash. While there are definite tinkering limits to the parameters of the older multi-effects units, there is an advantage to their streamlined design. Like the value argument above, their plug-and-play functionality is tough to beat in the modern digital domain. Because of what in retrospect seems like a limited digital depth, playing many of these new-vintage effects units feels more like you're engaging hardware than experiencing software. For me, this is a huge plus. Their menus are knee-deep and easier to navigate than the clock on your oven, and they use physical knobs to get you dialed in quickly to your preferred sound. 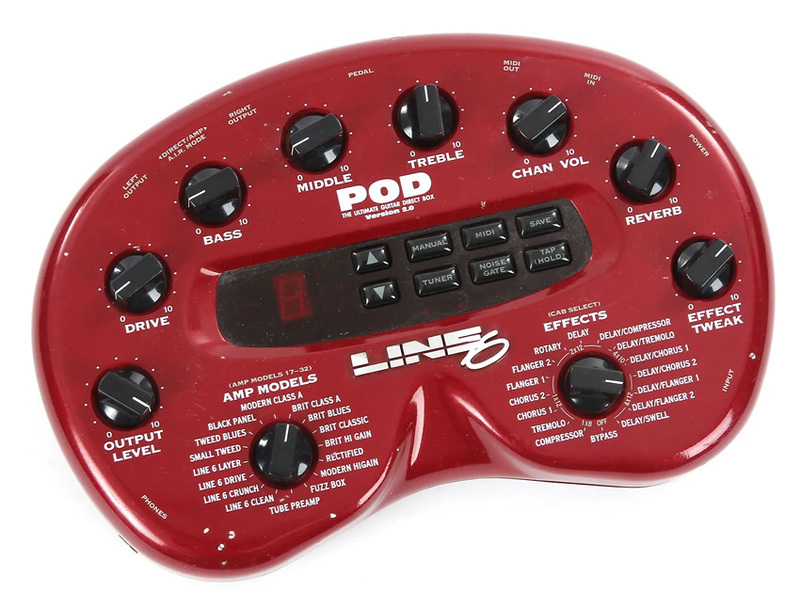 In the case of the Line 6 Pod and the Behringer V-Amps, your amp, cab, and effect options are all linked to rotary knobs that require zero screen time to navigate. If you'd rather quickly spin through effect options than risk option overload by scrolling through pages of presets, an older multi-effects box just might be the right pick. Plug in, switch on, pick a preset, and you're good to go. Sometimes you can't or don't want to bring your entire rig with you. Whether it's travel for work or a vacation, my biggest packing question is what I'm going to play while away. For reasons of space, I tend to toss an economical electric either in the trunk or in the overhead compartment. The amp and effects issue, however, is not so easily solved. One of the main reasons I picked up a multi-effect was it offered an all-in-one solution for my mobile amp and effects problem. Since my purchase also included a super trendy carry case, a power supply, and footswitch, I've got everything I need in one convenient package for noodling away while on the road. I've also found this small package has a highly practical purpose at home. We often talk about "bedroom sounds" for home guitarists. I haven't had an amp in my bedroom in years, but I do keep an electric in the corner for the occasional evening play. Now my modest evening rig includes my multi-effect. Toss in a set of headphones and your evening regimen just go a whole lot more rock and your neighbors are none-the-wiser. One usage that surprised me with my purchase was how beneficial it's been for my home recording. My V-Amp perches perfectly on top of my Focusrite Scarlett 18i8 and is always plugged into one of the channels. This way, I know I have one input dedicated to capturing quick sketches of ideas or creating scratch tracks. Of course, there are brilliant plugins for guitar amp and effect simulations, but in my creative process, these are almost always the second level of developing a song or part. An old-school multi-effect can also be a great way of giving some quick shape and color to a direct sound. When it comes time to throwing down a quick bass track for a song I'm working on, I'm always reluctant to go direct, even if I plan on some plugin touch-ups in the final mix. Whether it's the Pods or V-Amps designed for bass or their six-string counterparts, having some quick EQ control and a basic amp/cab emulator on the front-end adds some underlying character and body to my low tones. I'll be the first to say, my $40 wonder isn't stealing the show from my pedalboard. But I'll also proudly say it's been the best buy I've made in years. For the cost of a few packs of strings, I've found a new way of thinking about playing while away, getting more out of my studio gear and improving efficiency, and maximizing playing time at home in the moments in between everything else in life. So next time you're in the grocery store, pick the long line and see what you find on Reverb.